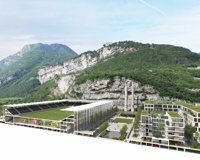 Created by studio Campomarzio, this unique vision combines numerous functions in a spectacular seeting of western Trento, just across the Adige from historical city centre and on the site of former cement factory. This is where the city's new heart could be created, one beating all year round. The concept is harmonious and robust, leaving two landmark chimneys after Italcementi plant as central points of the whole plan. As its background, Trento's mountainous landscape. 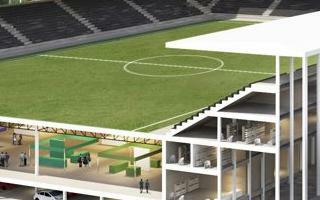 In the south a stadium of 12,000 seats would be created. Simple in form, it would have much more to show for itself inside. On ground level parking sites would be created, followed by a large exhibition and trade center of 7,300 m2 and only on top of these uses the actual stadium would follow. 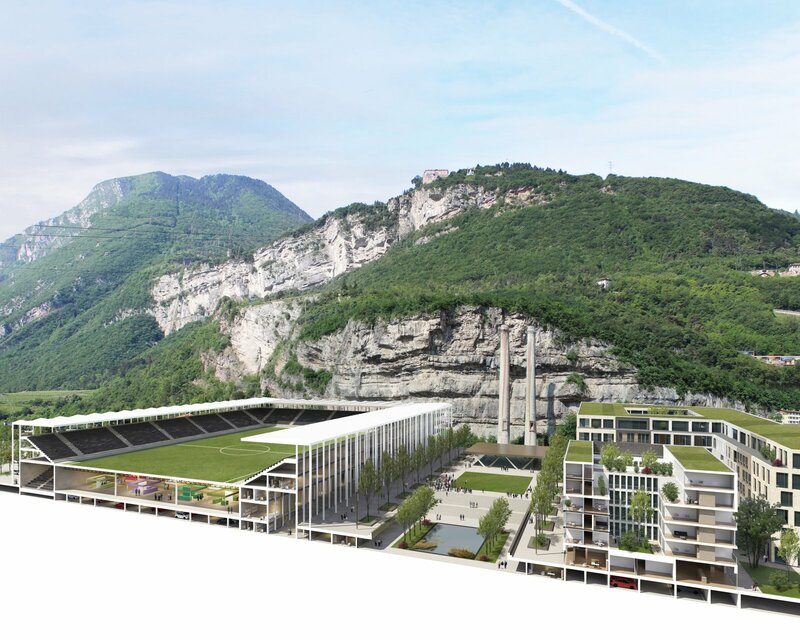 Even if elevated significantly, the stadium would not rise above key points of the complex, named by Campomarzio “Consilium”. 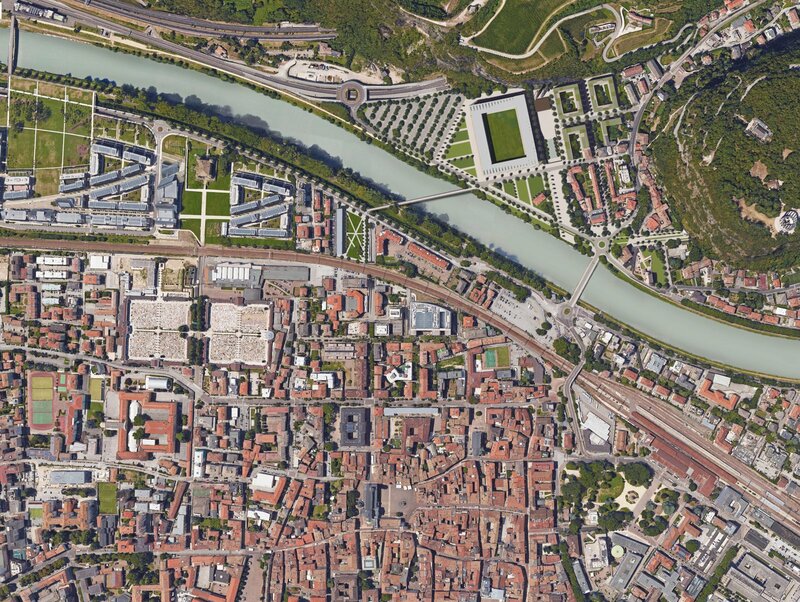 The area would indeed reconcile many uses needed by Trento, while reviving the city's western side. 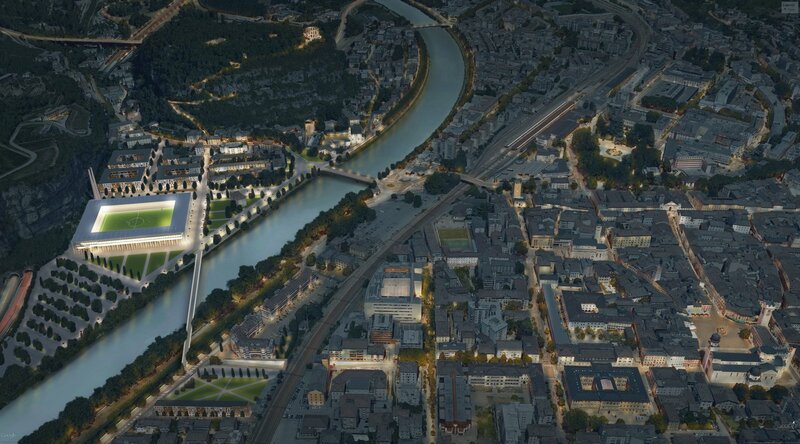 Aside from the stadium the complex would include 6,000 m2 of commercial spaces and shops, 13,000 m2 of residential spaces, 9,500 m2 of public park and 8,700 of public plazas. As for cars, over 2,000 parking bays would be located beneath all buildings, freeing up space for pedestrians. 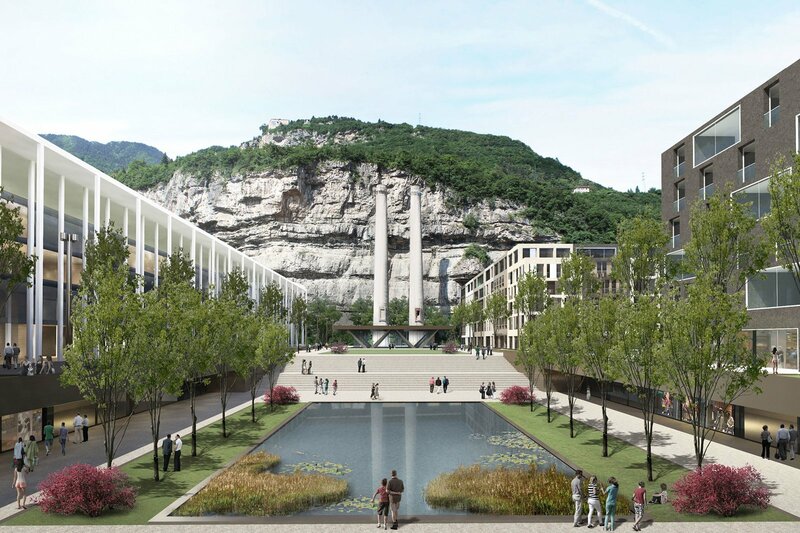 The concept is not official, it's a master plan created to catalise public debate in Trento. It's not an official design and yet we would really regret not showing it to you. 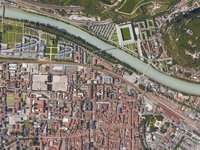 The proposed stadium in Trento is part of what could be one of the most distinctive sports and leisure complexes across Europe.